“I want to visit Turkey” is the line I often hear when I speak to other travel loving folks, but not all could turn their wish into reality. There are many reasons why people couldn’t make it and one common reason which people give is “Turkey is beautiful but very expensive”. I must say this is the biggest myth, Turkey is expensive if you don’t plan your trip well and if you don’t know what is there to see in Turkey. I was fortunate to turn my wish into reality. 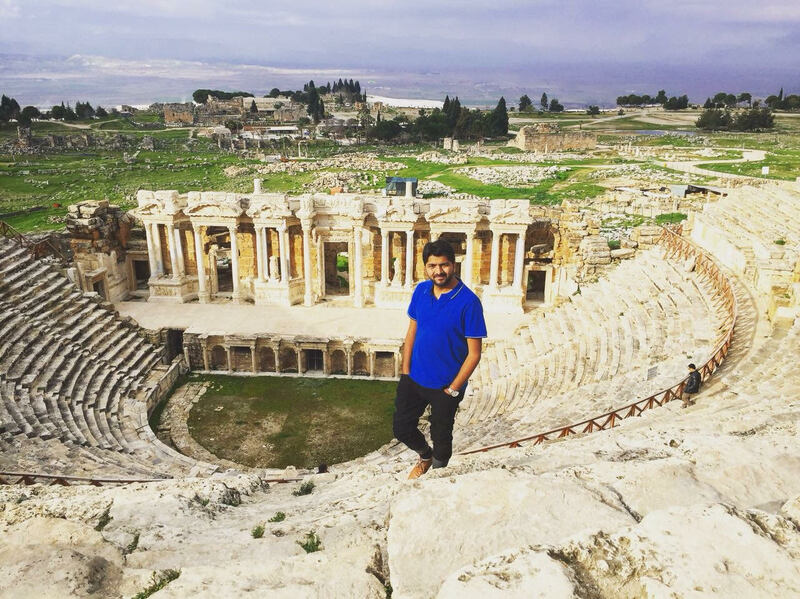 It was a wonderful solo trip for 11 days where I had one of my best travel experiences traveling across Turkey at a very reasonable cost. I thought of sharing my Turkish experience with everyone, and if this blog could motivate at least one person to travel, I would consider this blog as successful one. Turkey has such lucrative landscape and culture which attract millions of visitors from across the globe and I wanted to be in that one in the million for sure, but the distance from India to Turkey so far that I really had to make up my mind that I will visit it no matter what. Also, after visiting quite a good number of countries in South East and East Asia, I was sure my next destination is going to be different from my past travel and Turkey fitted in very well in my requirement. 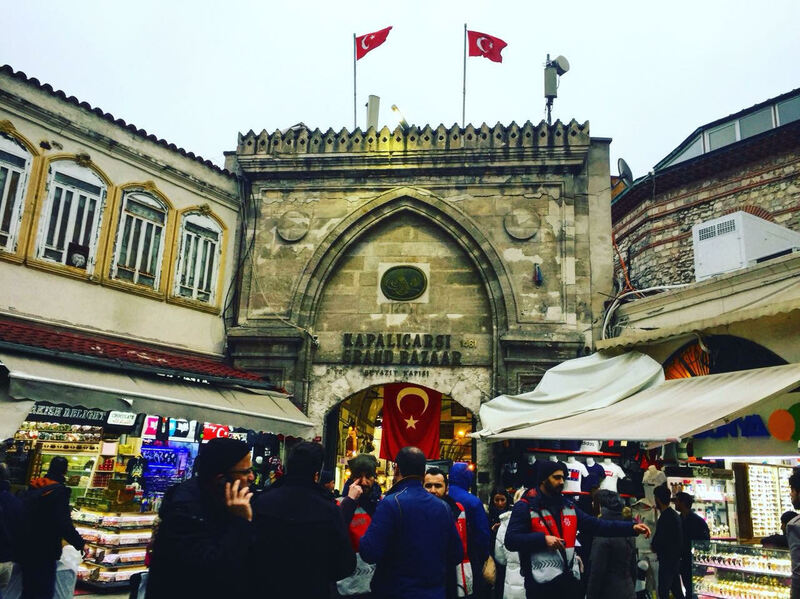 The mix of Europe and Asia in the beautiful city of Istanbul, fairy chimneys in Cappadocia, and Ephesus’ historical sites looked so exciting in the photos, videos, and the blogs I read that I couldn’t stop myself from visiting the same and experiencing it all on my own. The decision to visit Turkey is something which makes me feel satisfied as a traveler. I must say, to decide for a Turkey solo trip was a difficult choice but to decide what to see inside Turkey was even harder as there are so many things to see in Turkey that my 11 days vacation looked way too shorter. So based on the number of days I had and the season, I picked up the below itinerary for my trip. Let me detail out things which I covered in each of my stopovers. 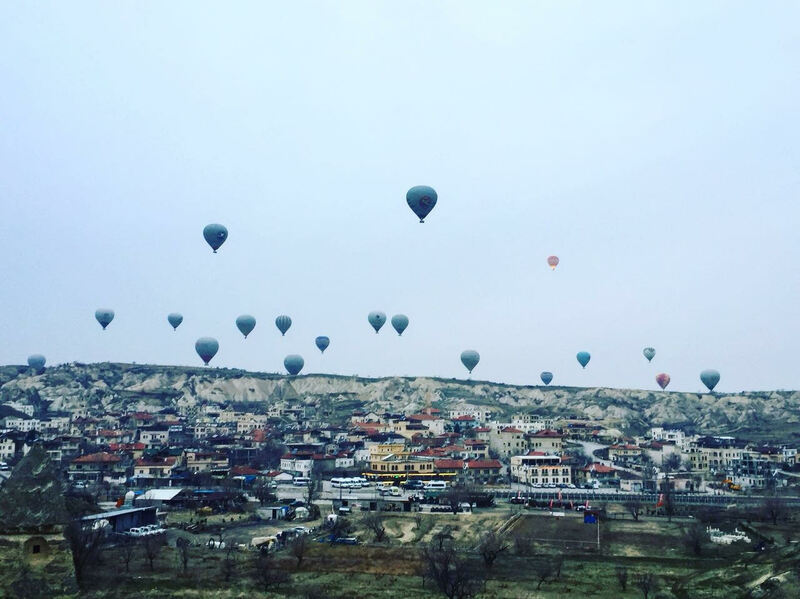 After landing in Istanbul at around 3:00 PM in afternoon, I had a same day connecting flight at 6:00 PM for Navshahar and a shuttle booked in Navshahar airport to take me to my hostel booked in Gorame, Cappadocia. 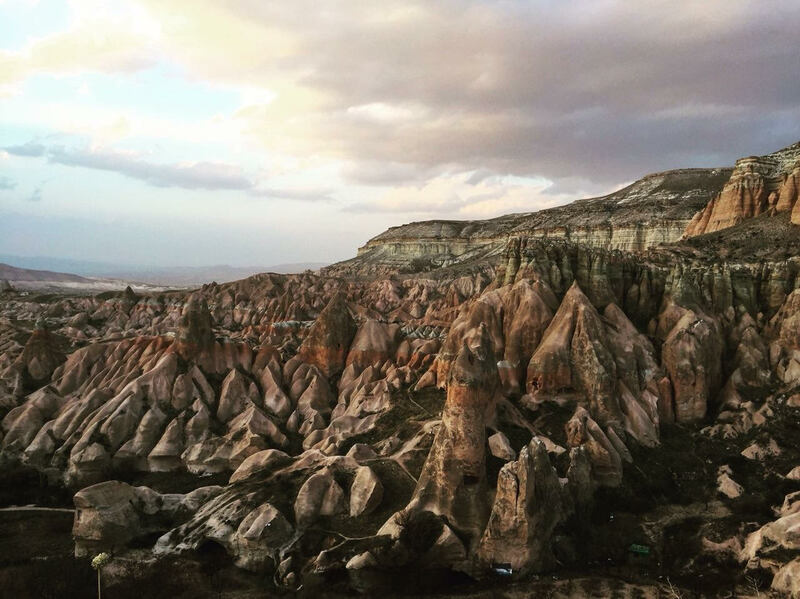 Cappadocia is a wonder world and certainly a heart of Turkey that no one should miss. You can explore the city on your own or take a group tour based on time which you have in Cappadocia. So I decided to combine both. On the first day, I took a green tour in a group covering the fairy chimney, underground city, monastery, etc. And the next two days, I spent exploring the city on my own by foot and by local transportation available. Apart from the Fairy chimneys, Cappadocia is also a popular destination for people who love Hot Air Balloons. Since I had already done the hot air balloon in the past, I wasn’t interested to take it again but I did make sure to get up early in the morning to see hundreds of balloons taking off at one shot. The view is just amazing and can’t be missed out. 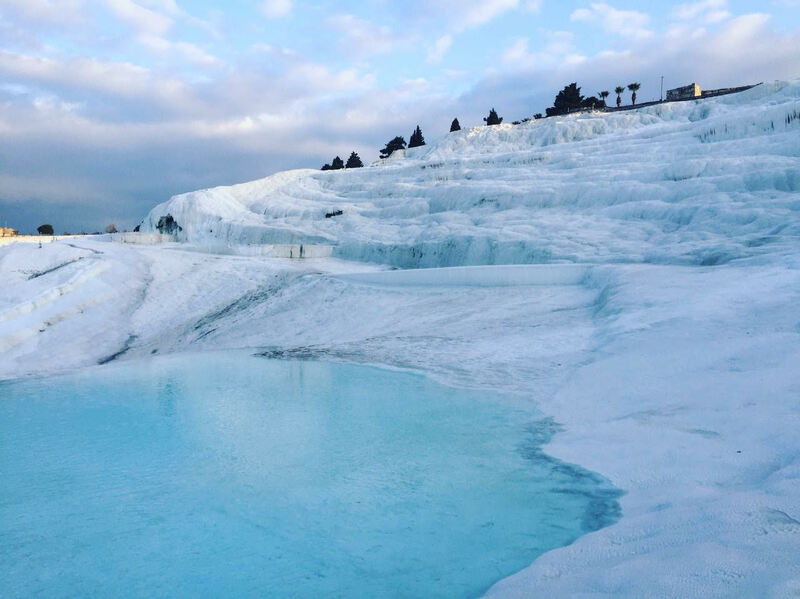 After spending three days in Cappadocia, I took an overnight bus to Pamukkale. Bus tickets were easily available for comfortable overnight journey which dropped me in Pamukkale by 5:00 AM in the morning. Since the main attraction of Pamukkale (Cotton Castle) opens only by 8 AM, so I had some time in hand and I sipped a cup of Turkish coffee and waited for the gate to open. I must say I was the first one to enter that morning from that specific entrance. It made me happy. 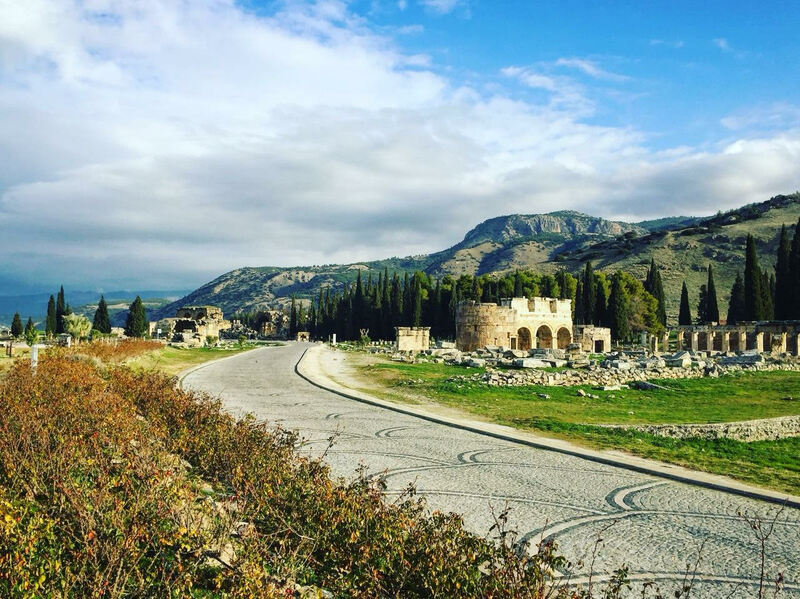 I spent half a day in Pamukkale admiring the beauty of mineral-rich thermal waters flowing down white travertine terraces, Hierapolis ancient theater, and other attractions in the vicinity. Once I was done with it, I took a mini bus to Denzli from where I took about four hour train ride to Selcuk. Selcuk is the town which people generally use it for stop over when they are visiting the UNESCO Heritage Site of Ephesus. But I must say Selcuk is much more than just a stopover. This beautiful town is popular for its cafe culture and it’s wonderful to just walk around and enjoy the chilled vibe of Selcuk. 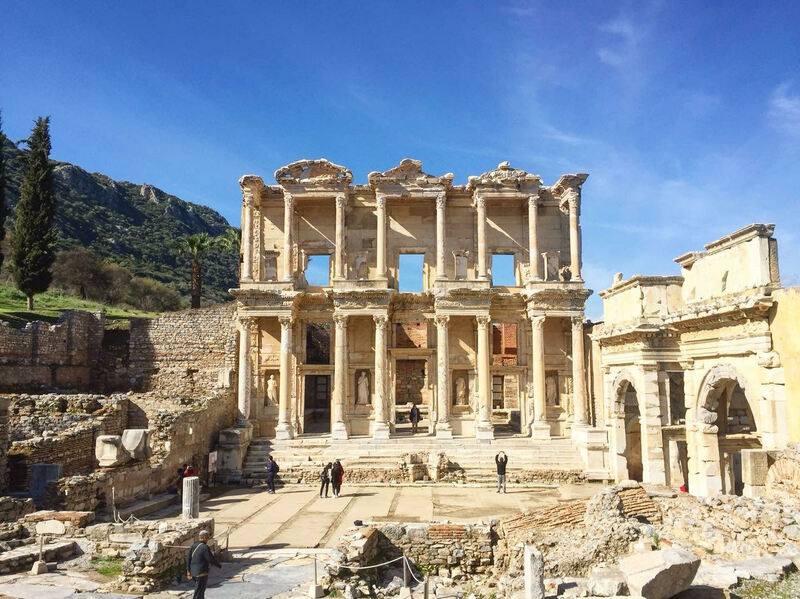 In my two days in Selcuk, I visited the famous ruins of Ephesus to experience the ancient Roman culture and architectures. Afterwards, I went to visit the Saint John’s Basilica, a beautiful historical place just in the city center and worth visiting any day. During the evenings, I spent my time sipping famous Turkish tea with Seesha (also known as Hookah). The next day, I took a minibus to go to Sirince Wine Village about an hour drive from city. This village is embraced in such a way that once reach here sure you don’t want to leave at all. I took my slow walk going around the village for the good part of that day. Next early morning, I took a train from Selcuk to Izmir which took about an hour. 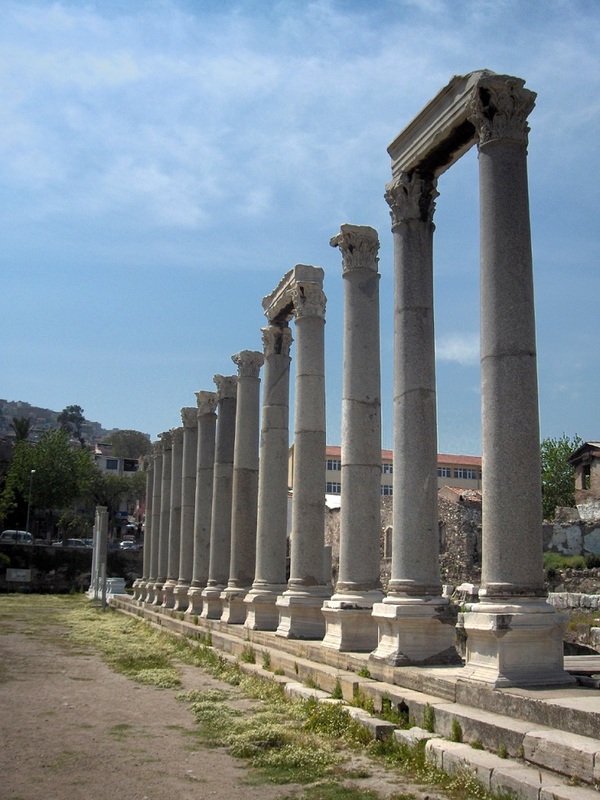 Izmir is a laid back city in the west coast of Turkey. 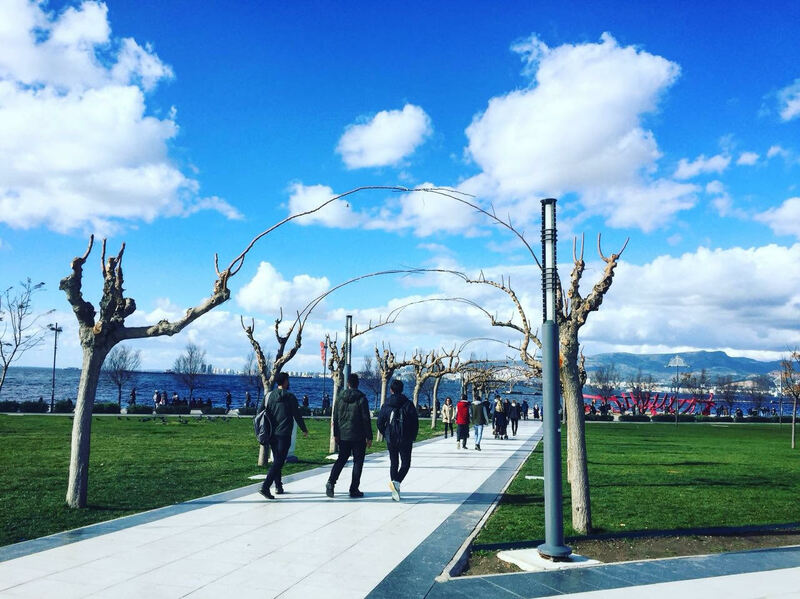 It is one of the biggest port city in the region and walking around the seafront (Kordon) is defiantly one of the best experience in Izmir. Apart from waterfront and the clock tower in city center, the local market was a wonderful experience to visit. 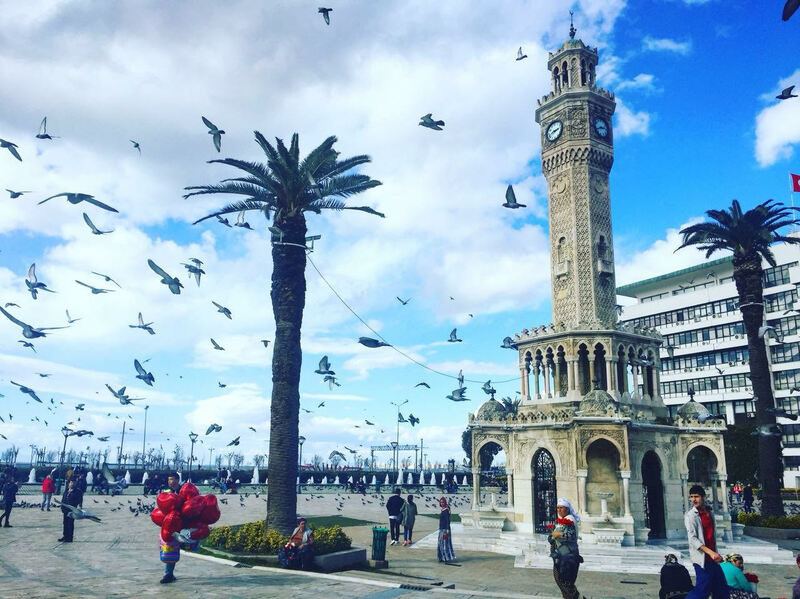 Overall, my days spent in Izmir was pretty tiring as I had just a day to explore the city but it was worth every moment. After spending a day in Izmir, I took early morning flight to Istanbul to spend the rest of my three and half days remaining before returning back to India. Istanbul took my heart even before the airplane landed. The view from the small plane window was so tempting that I couldn’t wait any longer to explore the city. Istanbul have two side of it, a European side with much of the night life and an Asian side with all the historical sites. I took a shuttle bus to Kadikoy Ferry Terminal. I took the Ferry and Metro from there to go to Sultanahmet where my stay for the next two nights were booked. Soon I realized that three days is not at all going to be sufficient to see Istanbul, so I need to pick what I really want to see in these three days. So the plan I made was, one day I will spend in Prince Island, second day I will spend exploring the historical side of Istanbul, and on the final day I will spend exploring the modern side of Istanbul around the Taksim Square area. Prince Island is the group of 9 small islands about two hours ferry ride from the mainland of Istanbul. Out of the 9 islands, only 4 islands are inhabitable and the rest remain unexplored. Büyükada is one of biggest island and considered the most beautiful among all 9 islands. So I took an early morning ferry for this island and spent the rest of that day mesmerizing over this totally mystical and unique side of Turkey. 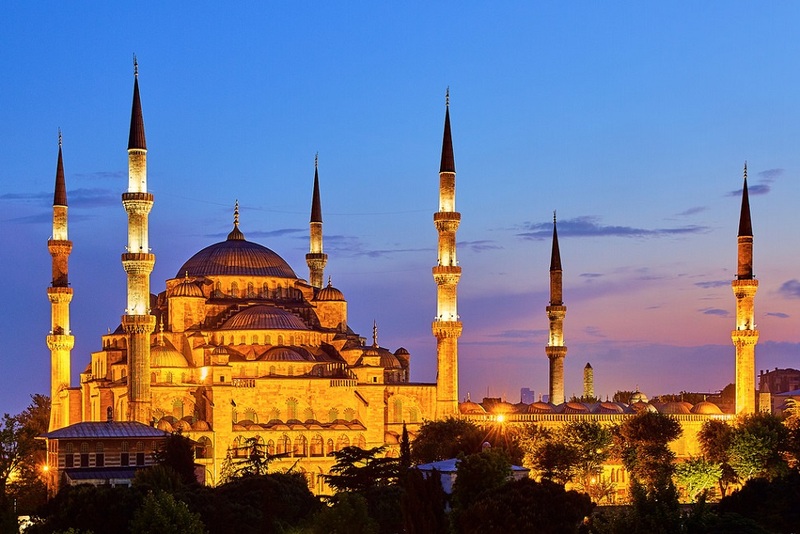 Sultanahmet is the area where major historical attraction of Istanbul is centered. 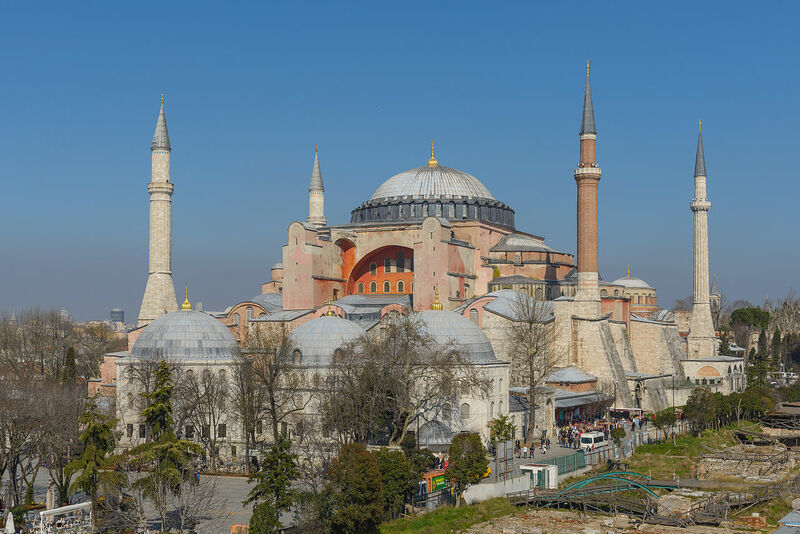 The beautiful and well known blue mosque, Hagia Sophia, Topkapi Palace, and the Grand Bazar are all here. All these historical places are so beautiful that you can spend entire day just visiting one of them, since I had just a day time to explore I made sure that I could manage my time in such a way that I don’t miss any of these famous attractions. For the last two nights I had booked my hostel near the Taksim Square which is the ultra-modern side of Istanbul where all-night parties are common. My morning started with walking around the famous İstiklal Caddesi and visiting the Galata Tower and enjoying the Turkish delight and my evenings ended with a couple of beers in a local pub. On the last day, I woke up with a sad face thinking my wonderful time is about to end now. I had my breakfast, took a walk of İstiklal Caddesi for the last time, and got into the metro for the airport to catch my flight back home. The myth about travelling is “it is an expensive thing” needs to be broken. In my view, traveling at times is cheaper than staying home. The longer you travel the cheaper it is. In my Turkey trip I wanted to make sure that I spend on things which is needed and not things which good to have. For any kind of travel, the major expenses can be categorized in three categories: Food, Accommodation, and Transportation. Let me put this little bit more in detail from Turkey travel perspective. Turkish food is indeed a delight whether you are a vegetarian or non-vegetarian or continental or authentic country food lover. It has variety of options available and suitable for everyone. An average meal in a decent mid-range restaurant cost anywhere between 12-20 TL ($5 USD). So in less than $20 USD, I was able to survive for a day in Turkey eating three meals which is way less than what normally people think. Not to be missed is their famous “Turkish delight” desserts, which is mouthwatering. In my entire trip to Turkey, I stayed in hostels where average cost was no more than $15 USD per night and in many cases it even included free breakfast. And trust me, it was without compromising the cleanliness and location in any manner. Your international flight tickets consumes the major part of travel expense and it really differ from which city/country you are taking your flight. So I will not be able to give a correct estimation on that but what I can share is an average travel expense once you land in Turkey. I took two domestic flights in turkey and one overnight bus and a train. Both of my flight tickets were less than $50 USD each, and the overnight bus ticket was about $25 USD and the four hour long train journies were not more then $10 USD each. So transportation of any mode is relatively very cheap compare to anywhere else in Europe. Specifically in Istanbul you can take the prepaid Istanbul card which acts as a ticket for all city transport system including ferry in very basic cost. Museum pass is available that covers all major historical sites in Istanbul at the cost of 125 TL which will cover around 6 attractions in the city and if you buy ticket individually it will cost you about 40 TL each. Istanbul card is like a prepaid card which you can load it with cash at once and use it for all public transport in city in lesser price than paying in cash. So highly recommended to take this card. Apart from the places which I visited there are few other very good places which you can visit in Turkey based on time available. Few of my recommendation few are Konya, Antalya, Fethiye, etc. In my entire trip I had not used private Taxi anywhere, so if you are someone who would prefer exclusive taxi service then expense will go higher. Finally all I can say is, Turkey is defiantly one of the best country I have visited so far and I would recommend all travelers to plan for it. Hi, I am Chandan Sharma. Working as a full time job for a financial firm but still making a time to travel across different countries is my passion. This passion had taken me through 21 countries so far, mainly in Asia, Europe and just a glimpse of east Africa. Goal is to make it at least 50 countries before I turn 50. Feel free to visit my Instagram page ‘Travel Freak Mr Sharma’ to walk through of my travel journey. Do not hesitate to drop me a message in case if you need any further information on Turkey or any of the country which I visited.